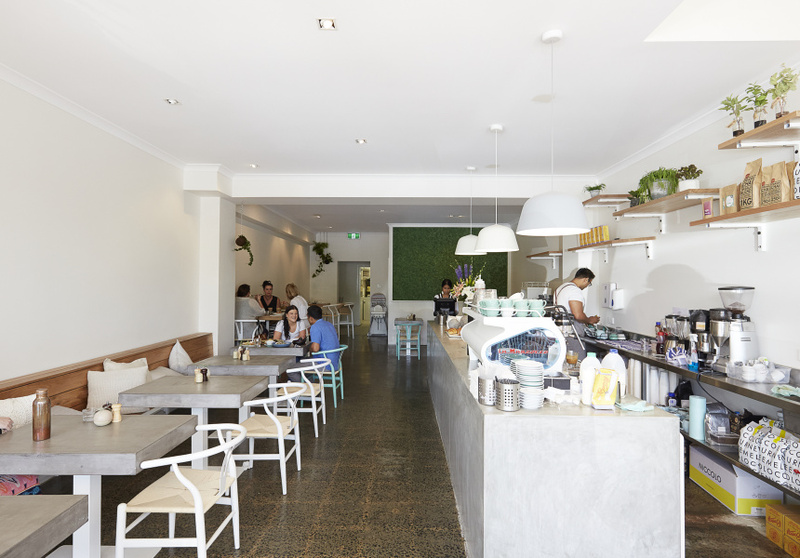 1809 is the fourth cafe from Maliq Deane of Sardi, Muhuram, Trei. Like the rest of the group, 1809 is personally significant to Deane. The name refers to September 18 – his son Stefan’s birthday. The cafe’s blue-dot logo reads “1809” in braille, as Stefan was born visually impaired and quadriplegic. 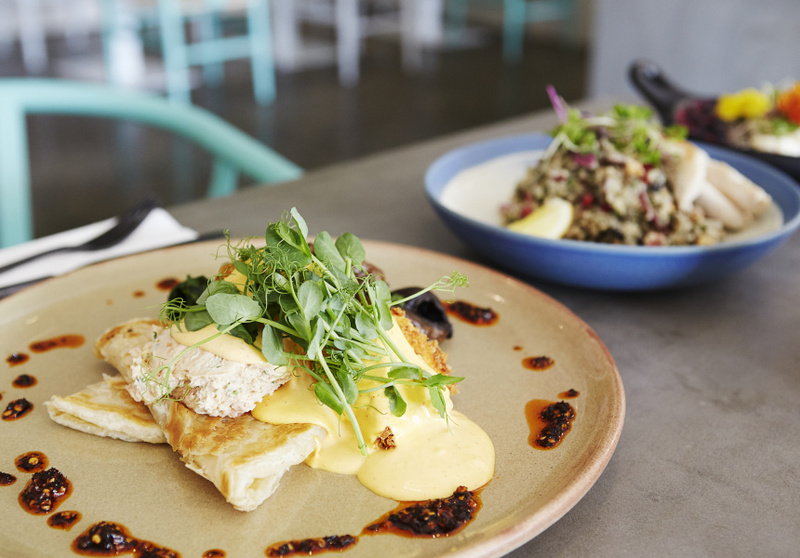 Standout dishes include egg and bacon bun with chilli eggs, Vietnamese slaw and peanut butter sauce; and a poke bowl filled with kale, avocado, a poached egg and a choice of wasabi salmon or teriyaki chicken. 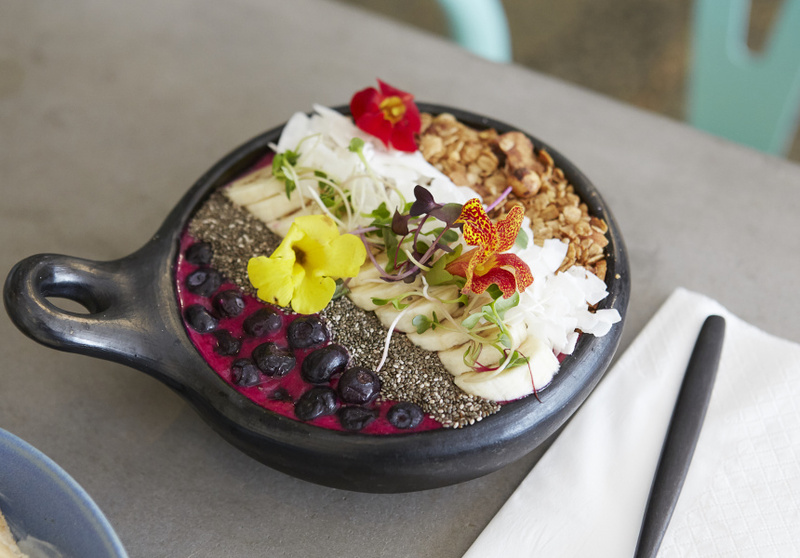 At 1809, the team knows some days are for green cold-pressed juices, and other days are for Cherry Ripe milkshakes or blueberry ricotta hotcakes with mascarpone, berries, coconut nectar and nut crumble. Vegans, paleo devotees and sweet tooths are all looked after equally well. The interior mixes polished concrete, timber and hanging plants to create a slick but natural aesthetic. The design inspiration came about over coffee in Sri Lanka, Maliq’s homeland, with Murad Ismail. He’s the protege of renowned Sri Lankan architect Geoffrey Bawa and designed the Four Seasons in the Maldives.